Wet sieving is a way of recovering finds and environmental evidence from soil samples. 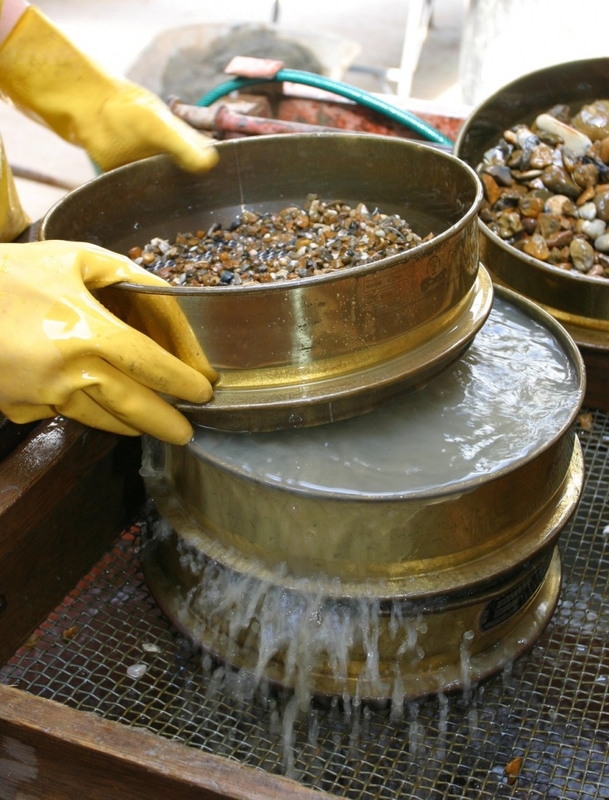 The sample is passed through a series of sieves with different sized holes whilst being washed with water. The water breaks down the soil making it easier for it to pass through the sieves. Tiny finds and pieces of environmental evidence such as grain, seeds and shells, along with natural stones and gravel, aren’t broken down with the water and are caught by the sieves. The material caught by the sieves can then be sorted, removing all the stones and leaving behind any archaeological evidence.